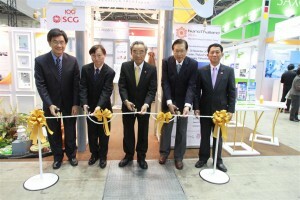 The 13th International Nanotechnology Exhibition and Conference (nano tech 2014) considered the world’s largest nanotechnology networking venue opened this morning at Tokyo Big Sight. 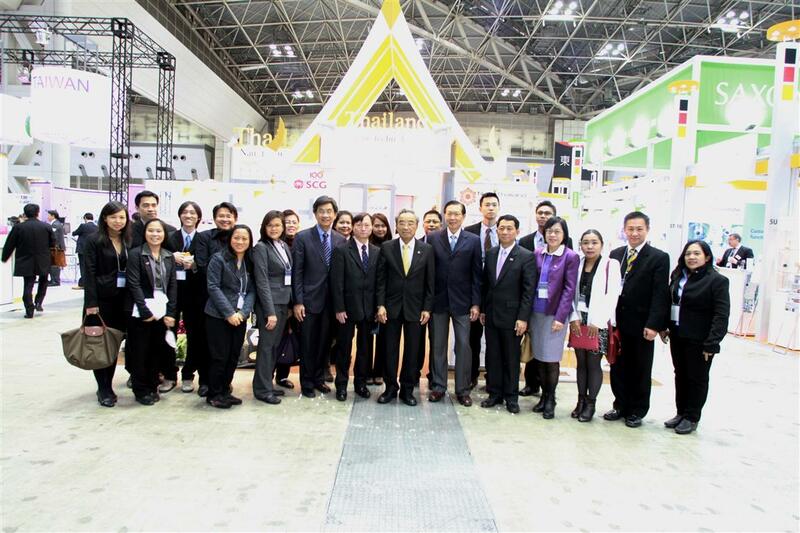 Thailand exhibition under the theme “Creative Lifestyle & Culture” is one of the 600 exhibitors from 30 countries exhibiting nanotechnology highlights products from NANOTEC and 8 Thai private sector partners. 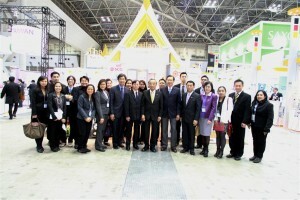 Leading the Thailand Team is Prof. Pairash Thajchayapong, Chairman of NANOTEC Executive Board and Dr. Thaweesak Koanantakul, President of NSTDA. 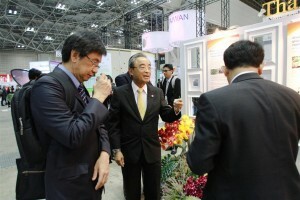 In addition to exhibiting and giving press interviews with Chemical Daily and Nikkei Shimbun, Prof. Sirirurg Songsivilai, Executive Director NANOTEC and Mr. Boonrux Saphyakhajon, Executive Director Bureau 2, Thailand Board of Investment (BOI) will team up to give a presentation on “Advancing Nanotechnology Development in Thailand” at the Seed and Need Seminar which is part of the conference program. “Given the significant importance of this annual event, it is necessary for NANOTEC a member of NSTDA and its private sector partners to continue to fly the Thai flag” said Prof. Sirirurg. “The main goal of Thailand’s participation is for networking, national exposure, information gathering, and the ultimate goal is research/commercial collaboration”. Prof. Sirirurg echoed the saying that “Rome was not build in one day” so is research/commercial collaboration which requires nurturing of relationships. 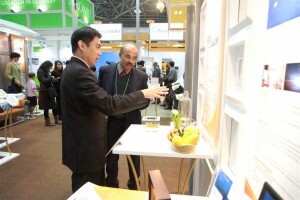 The Thai private sector partners participated in numerous business matching discussions which will continue after the conference is concluded. 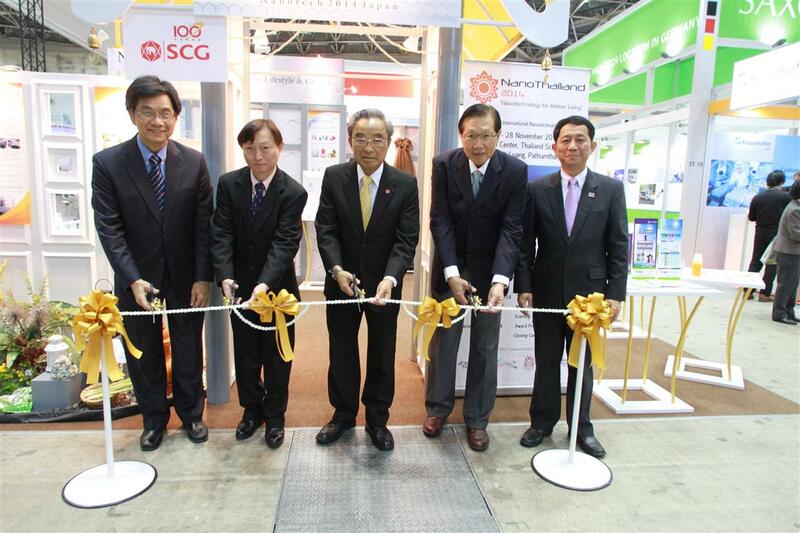 It is expected that Thailand will continue its presence at the nano tech 2015.